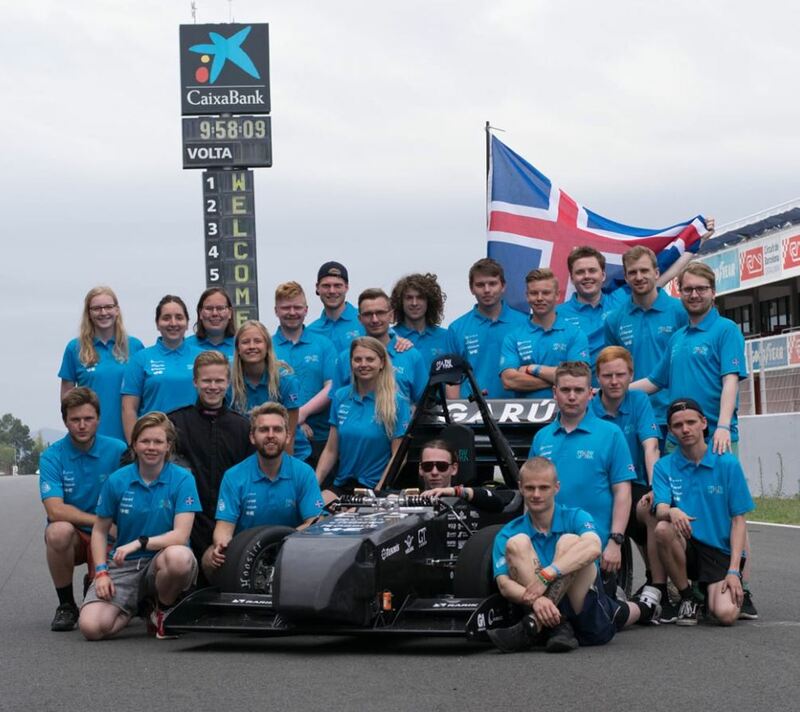 Team Spark is the formula student team of the University of Iceland. The team consists of 40 students from different disciplines. Building a formula race car is a challenging task and allows students to work on diverse projects that would not be available to them otherwise. Students leave the team well prepared for the job market and further studies. Our newest vehicle is Garún. Last summer a team of 20 students competed at FS Spain which was held at the Formula 1 track in Barcelona. The team won the award for the best team spirit. From the beginning our cars were built on a steel tube frame. By making a carbon fiber chassis we are able to build a lighter car. By adding winds to our cars we can increase tyre grips and thus get better lap times on competitions. TS12 was the first complete car built by the team. It competed at Silverstone in 2012. The team was founded by a small group of students in 2010. Team Spark could not build a car without the support of our sponsors. We appreciate all the materials, tools, advice and more that companies have sponsored to us. Formula Student is the largest international engineering student competition held all over the world. Most larger universities have teams in the competitions.